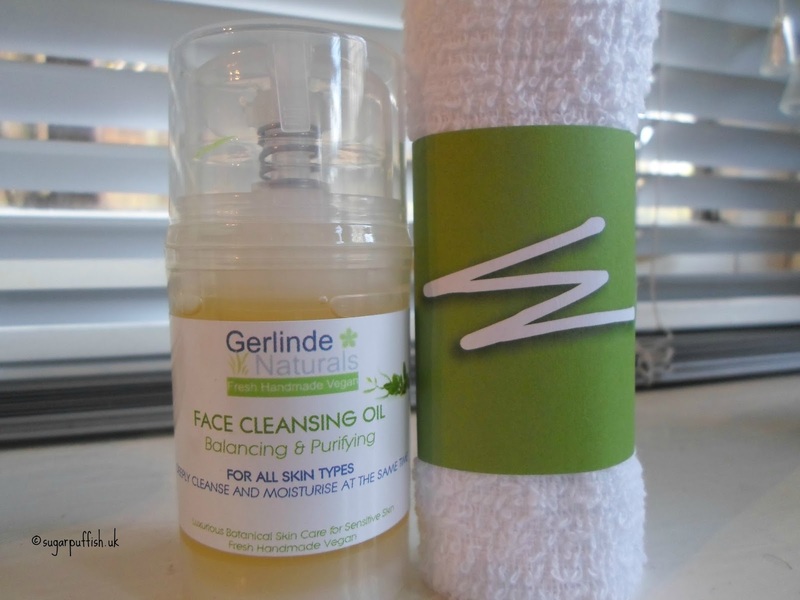 I first mentioned Gerlinde Naturals in my post about Vegan natural and organic skincare. They are a small artisan vegan business based in the South of England. I accepted an offer from Gerlinde, the founder, to try some products. She went above and beyond for me sending cleansing oil and whipped shea butter formulated without essential oils. That right there is why I love handmade skincare and smaller brands because their owners listen to customer needs and have the ability to adapt their products. The key ingredients for the cleansing oil* are coconut, hemp, jojoba, apricot and caster oil (complete list is available on the website). It is slightly heavier than others I have in my collection but just as effective and a pleasure to use. My cleanser came with a Washi cloth and I was pleased to see Gerlinde had this partnership. It does make a pleasant change to the usual muslin cloths. Washi cloths first featured on my blog in 2012 but for those not aware they are similar to a traditional flannel but slightly thinner. Anyone who has been following this blog for a while will know that I love shea butter. For me, it is perfect for my naturally dry skin and works well on mild eczema patches to maintain moisture levels. 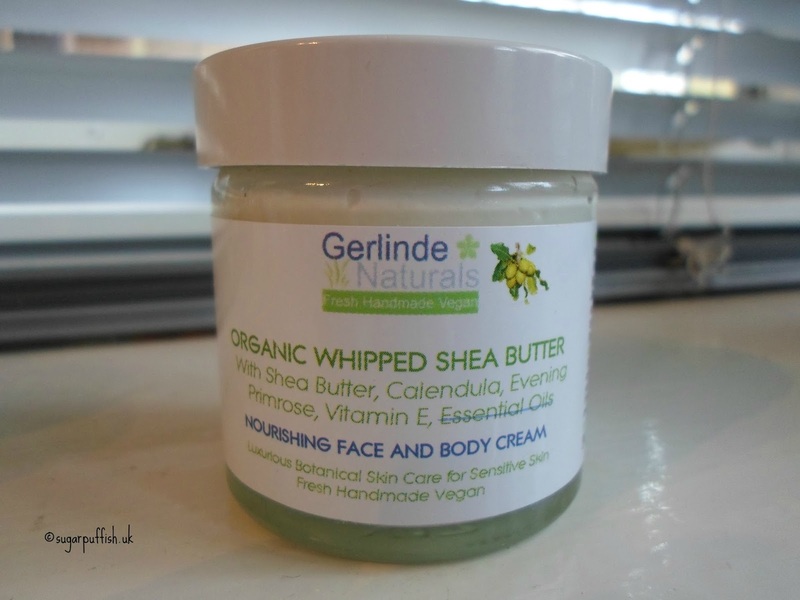 The Gerlinde Natural shea butter*(face & body cream) is whipped which makes it light and fluffy to the touch. No need to dig into the jar with a spatula this one is easy to scoop out with your fingers. Mine is missing the essential oils but it does contain calendula, evening primrose and vitamin E which are excellent ingredients for sensitive skin. Gerlinde Naturals gets my seal of approval. These are honest products with good ingredients and certainly what I look for when choosing skincare. I have never had the pleasure of sampling this brand, but I love the sound of these two products. Especially the Whipped Shea Butter as the light texture sounds like a dream for warmer months. This looks so lovely! The shea butter sounds great and I agree with you on the cloth... I am not a muslin cloth fan and use flannels instead. The cleansing oil sounds interesting, you didn't find the coconut oil too heavy for you? So great to find little companies like this, you are the masted of that game Sarah! I did a search on this brand after seeing it mentioned in Two Orchids YouTube video. Lovely to see they omitted the fragrant oils as I can't tolerate fragrant oils in any of my skincare being they are just irritants for me. Would love to try their products hoping they sell a version like yours to the public that has no essential oils. Lovely review! Hi Kenny, thank you so much for your interest! It's not a problem to omit Essential Oils in any of my products!